Mountain rescuers were called out to help a walker who broke his leg while walking on Arthur’s Seat in Edinburgh. The 42-year-old went for a walk on the snowy 250m (822ft) hill overlooking Holyrood, after finishing work on Friday. He slipped and injured himself near the top of the peak. 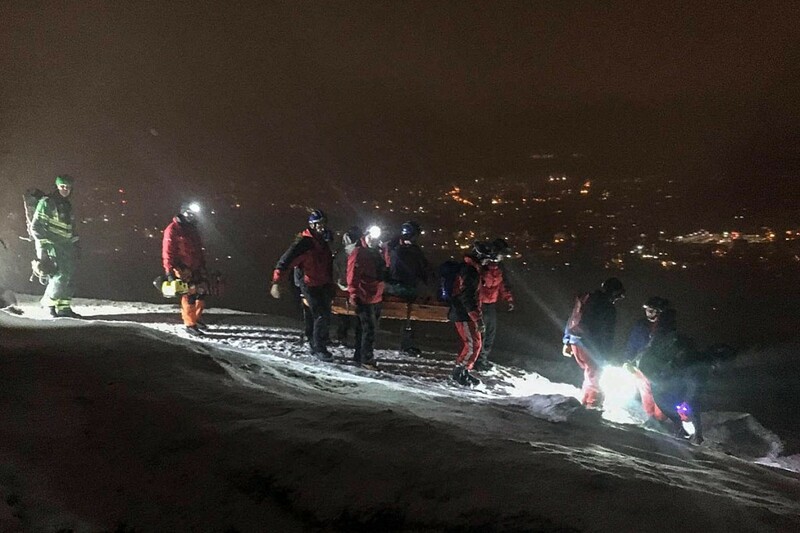 Tweed Valley Mountain Rescue Team was called out about 8pm to help in the operation to bring the walker to safety. Police, ambulance crews and fire and rescue service staff were also mobilised and the Prestwick Coastguard helicopter flew to the scene. Dave Wright of the Tweed Valley team said: “The helicopter arrived at the casualty site dropping its winchman just before a heavy snowstorm came in. This meant the helicopter had to leave the scene and land near Holyrood High School. “As the helicopter was no longer able to extract the casualty, fire service, mountain rescue and Scottish Ambulance [special operations response team] personnel headed to the casualty with a stretcher and specialist rope rescue kit. “As a multi-agency team, we worked together to lower the casualty from the steepest section of the hill on to more level ground before carrying off to the waiting ambulance at Dunsapie Loch. The rescue involved 13 Tweed Valley MRT volunteers and ended about 10.30pm.